Over at Bulgari, the reign of the Octo Finissimo continues to flourish. 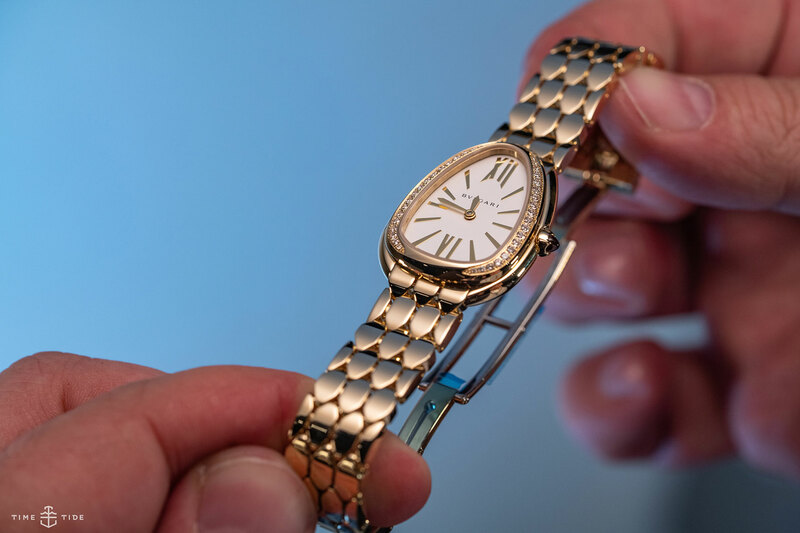 At Baselworld 2019 the ultra-thin heavyweight collection gained two strong new members. And over on the women’s side, there’s a new golden serpent to adore. The hero of Bulgari’s set piece is the Octo Finissimo Chronograph GMT, a very smart addition (in both the style and engineering sense). It’s a completely new movement, and full of nice engineering details. It also boasts a lot of user-focused details, like that GMT. It’s a really useful combination of complications wrapped up in a wafer-thin package. 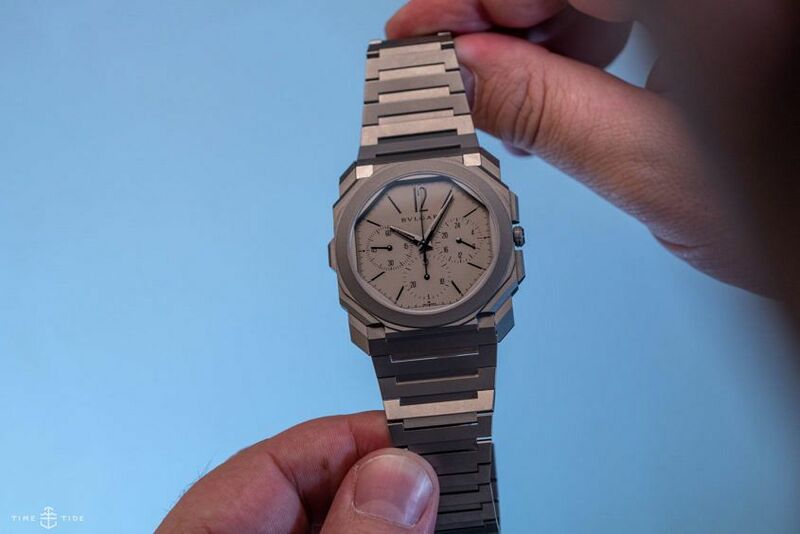 The yin to the Chronograph’s yang is another, darker take on the Octo Finissimo — in fact, an entirely black take. This new ceramic version once again transforms the feel of the watch. Bonus points for opting for a sleek matt finish, and even a fully ceramic folding clasp. Finally, the Serpenti Seduttori, a woman’s watch that’s intended to be a more everyday alternative to the Serpenti Tubogas. The bracelet on this piece is lovely, and more than lives up to the Serpenti name.